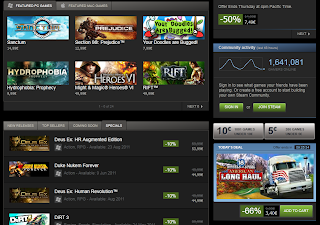 SCS Software's blog: American Long Haul featured on Steam! 18 Wheels of Steel American Long Haul is featured as "Today's Deal" on Steam right now. Did not know that steam have very hard policy for accepting games. Did you send them any demo so they can test and review? Maybe they do not want European truck games and want instead American truck games. Maybe if you make American truck simulator next time you have better luck. Scs do not forget your old truck games they have many bugs and need fix and patches and updates. I'm sure you weren't paying attention to the name of the game "American Long Haul"? Congratulations! Looking forward to the next game to be displayed on that site! No worries devs. An indie game I _really_ like also hit Steam only some half a year after its original premier. Sooner or later, you can strike a deal with Valve too, I'm pretty sure about that! I got ALH when it was on sale a year ago. Aside from the bugs it was fun. It's sad to hear about Trucks & Trailers. That's great, many congratulations! :-) I bought ALH years ago, but I'll suggest this special offer to some of my friends. SCS, I wrote a thousand e-mails for you asking for a simple fix pacth for ALH and you never answered me. Some fixes that you will make in 1 hour, no more and would make your fans happy. Would be appropriate demonstrate more considering for yous customers because the ALH has bugs and I think that you must correct them. 18 WoS Convoy is better! There are tens of thousands of casual driving fans like myself who were let down by Atari's TDU2. I used to play all the SCS trucking games but when TDU 1 was released, its bigger maps and better cockpit immersion made SCS games look like little more than quick diversions. Now that TDU 2 has been a disappointment and Atari is likely to let it die, there is a huge niche market that's looking for driving immersion, and many in that niche are avid Steam users. GTS pulled me in and didn't let go. I never really enjoyed driving trucks but GTS makes me enjoy every minute spent in its immersive cockpits. ALH will miss that orphan niche market, GTS or UKTS would convert many skeptics. Anonymous May 19, 2011 2:00 PM: You're right and I appreciate it, but everybody has own opinion on that. I've played the most of SCS truck games because I'm a truck fan. Because I've bought all these games for my money, I expect some basic player support (see for example Restanho May 19, 2011 12:46 PM). I know some major bugs were repaired but more other bugs weren't. I know there were added the new roads and locations to ETS2, but the driving model isn't always good (trucks are swimming on the roads etc.). I know there has been repaired one "invisible wall" in 18ALH, but one still remains at fuel station near Washington etc. etc. For example if I had "pirated" the SCS games it would have been all the same to me. But in this case it isn't. It could be a basic decency to communicate with the players and if it's possible hearing to their entreaties not only hype the new game although I believe it will be the best of all their games. That's all. Great, release T&T, ETS2 thro steam. Less chance of piracy. I hope for SCS Software there were a lot people who buy the game. 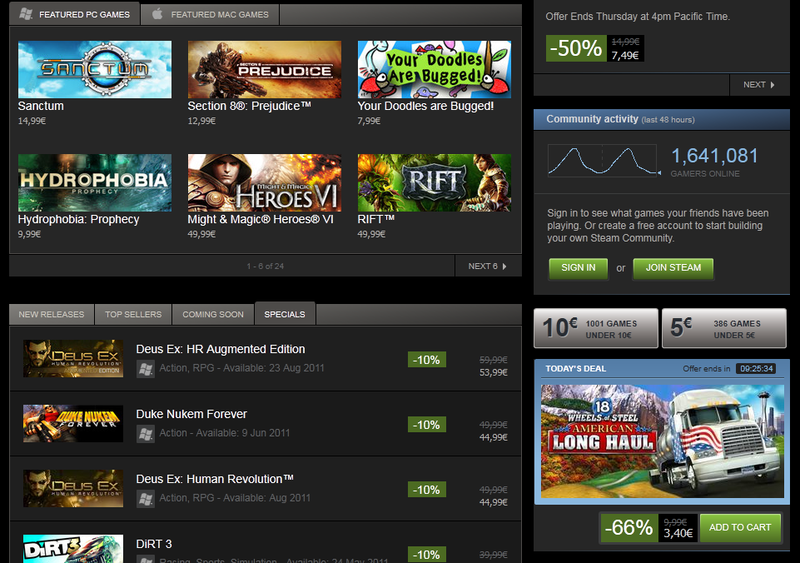 I'm really surprised that Steam refused to carry Trucks & Trailers. From what I've seen so far, Truck & Trailers is going to be a very nice and entertaining game. Did they give any good reason for the refusal? I hope they come to their senses and change their mind about it. Scs, can you post more videos on youtube of all trucks among other things? What about the trucks customization? There is no news about this since long time!